In March, academy students joined together in a collaborative street art project called 'No offence fence'. The project began back in July 2018 in Portishead, driven by resident Maxine Sims when she spotted vile graffiti on her garden fence. Maxine launched the street art project to turn this graffiti into a 'No Offence Fence' asking local children to write kind-hearted messages on the fence instead. Dozens of children have now written on the fence, which sits on a footpath close to a primary school in Portishead. 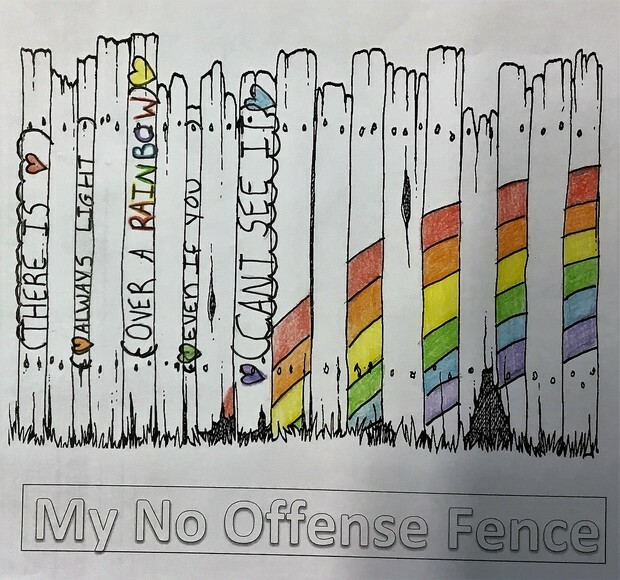 Following on from this project, Art students in Year 9 were asked to design their own good will message in the spirit of the ‘No Offence Fence’ project. All designs have even been seen by Maxine and she has selected her favourites. The end result will lead to a chosen design to be painted on to a real piece of fence, in collaboration with the project in Portishead. There is always light over a rainbow even if you can't see it. 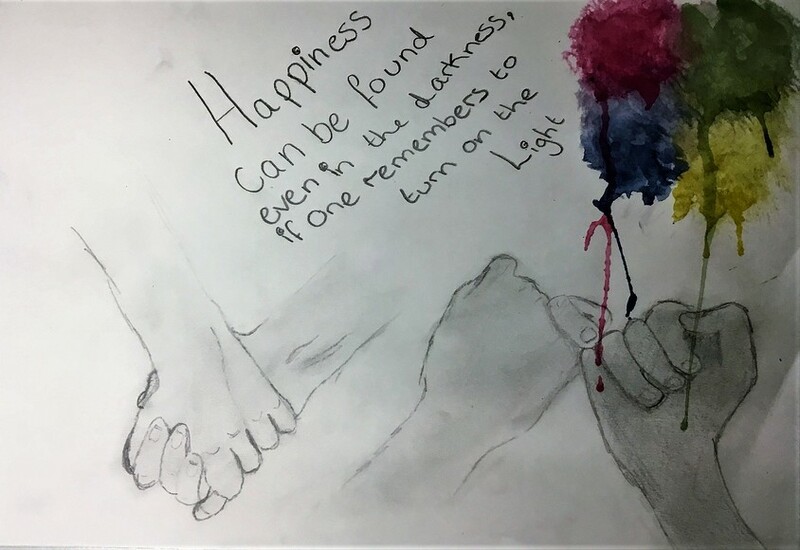 Happiness can be found even in the darkness, if one remembers to turn the light on. 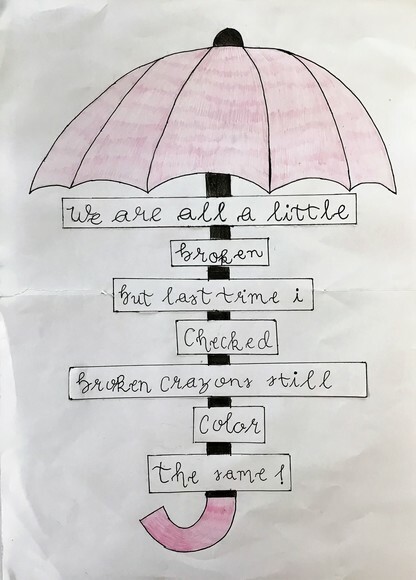 but last time i checked broken crayons still colour the same! You can follow the ‘No Offence Fence’ project on Instagram, for updates and photographs from the fence.